I recently discovered a new jewelry brand that I wanted to share with you babes. Sequin Jewelry is a NYC-based design studio founded in 2000. They are known for their distinctive, vintage-inspired, and fashion-forward aesthetic. Their jewelry is contemporary chic with a romantic edge and boho twist. I recently snagged up their Opal Bermuda Statement Choker Necklace and I’m seriously IN LOVE!!! 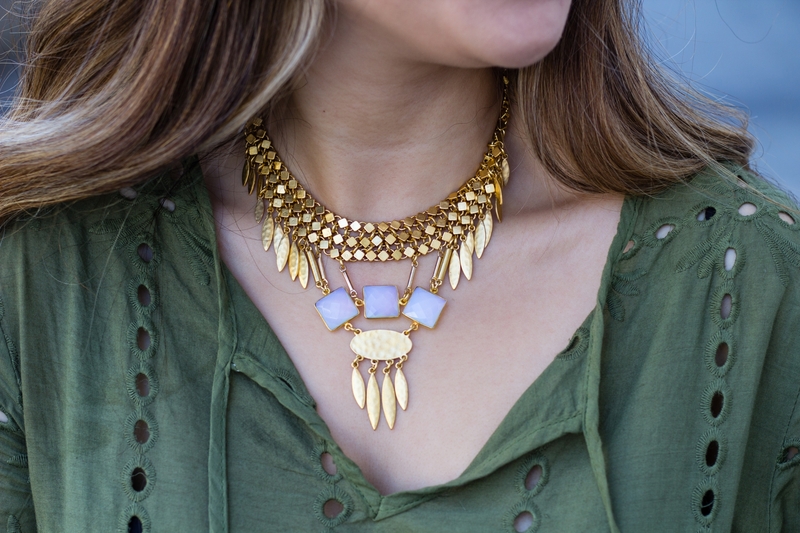 The Opal Bermuda Statement Choker Necklace features 22K gold-plated brass elements with semi-precious quartz channel stones. It is seriously SO STUNNING that I can’t help but stare at it all day! 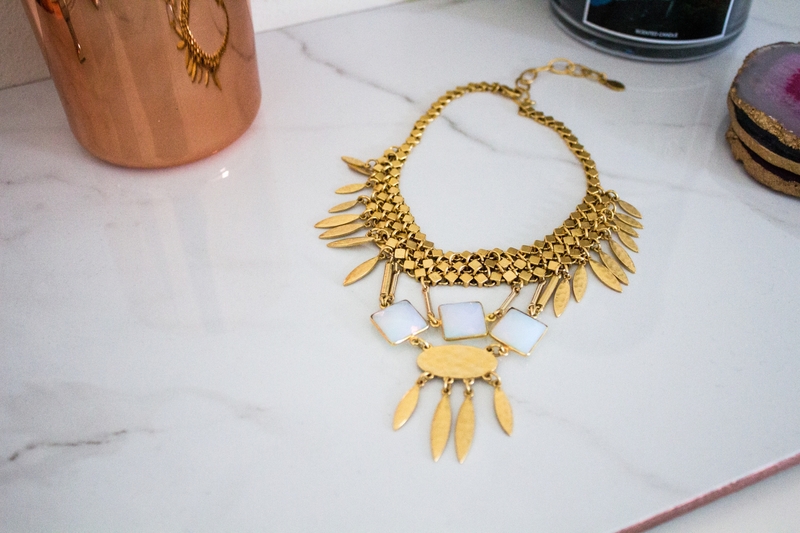 I don’t think I’ve ever owned a necklace quite like this one. 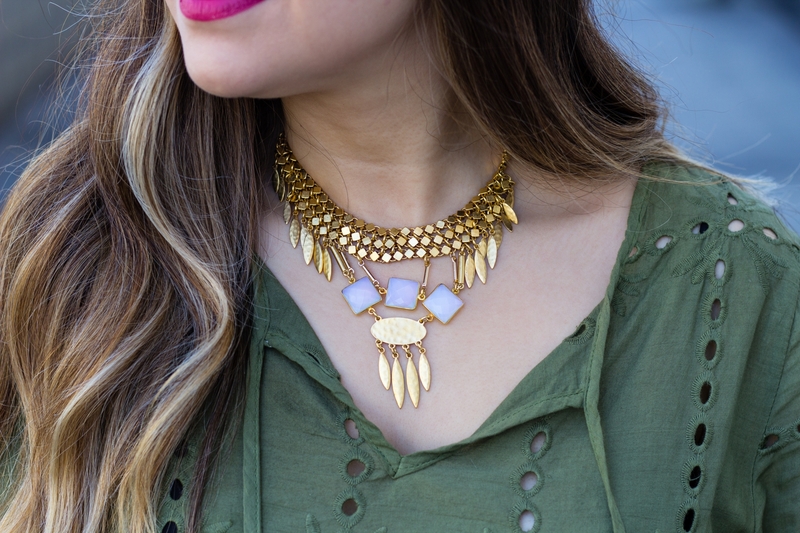 I absolutely love that it’s a choker necklace (and it’s adjustable) and the opal stones are just so gorgeous! 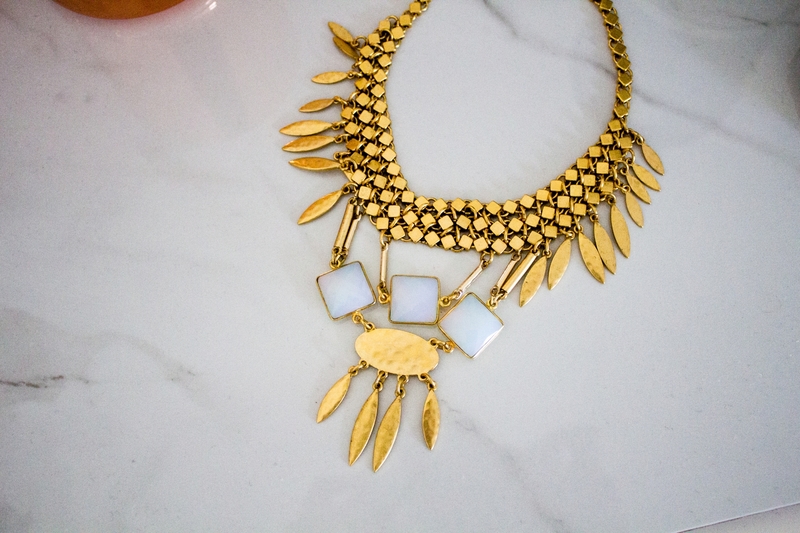 I don’t know about you, but I’m obsessed with opal! 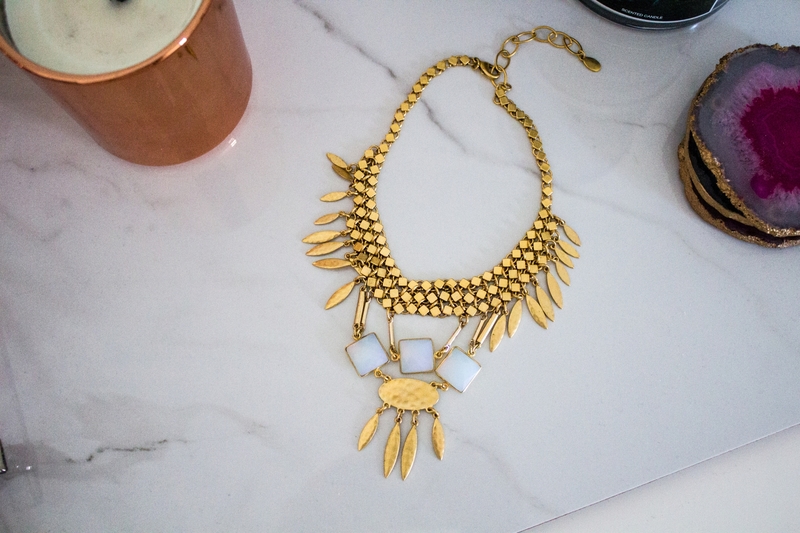 I also love how the Opal Bermuda Statement Choker Necklace has a slight boho feel to it! It looks so good when paired with a dress and booties! 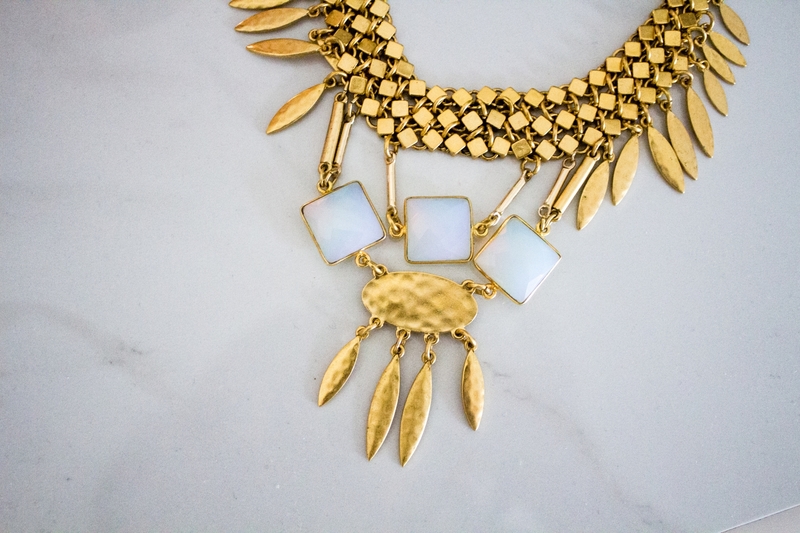 This necklace also comes in blue, mint, and fuchsia. Honestly, it was so hard to decide on a color because they’re all so pretty, but in the end, I just couldn’t resist the opal! 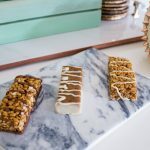 You babes know how much I love brands who give back, and I absolutely love that Sequin Jewelry is deeply committed to supporting animal welfare and they also donate time and resources to a variety of charities. For the month of October, Sequin Jewelry has selected new and favorite styles for Breast Cancer Awareness Month, so you can shop Pink for an amazing cause! 25% of sales on the Breast Cancer Awareness Collection will be donated to BCRF (Breast Cancer Research Foundation) – one of the top rated charitable organizations dedicated to advancing the world’s most promising research on preventing and ending Breast Cancer.